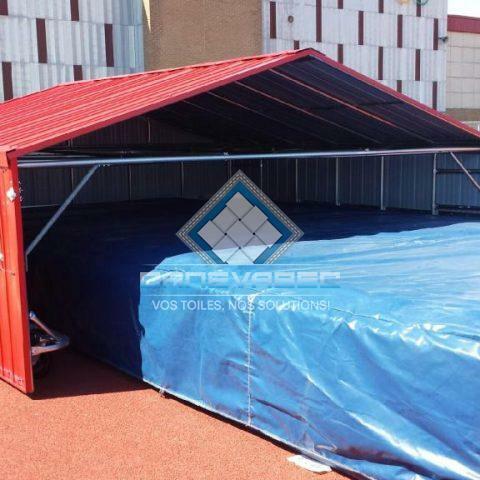 Our shelters are an essential accessory for pole-vaulting and high jumping landing mattresses, as they protect them from all the elements of mother nature and simplifies the storage process. Custom-made from robust durable materials, they will keep your mattresses in top condition for a long time while protecting them from bad weather and intrusions. 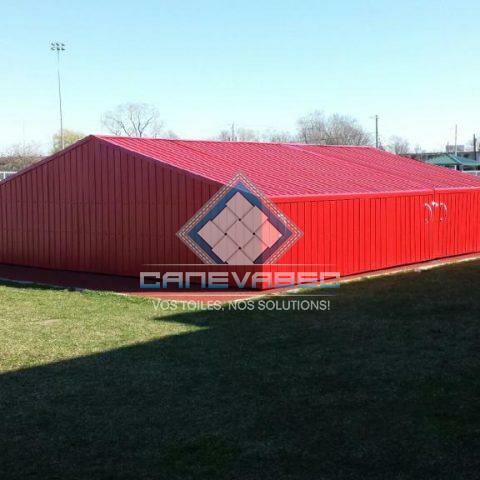 Choose a colour to match your team colors or surrounding buildings.